Cancer. It isn’t just a disease that affects people, but the incidence of cases in the dog are increasing exponentially over the past few years. Just like in people, a cancer diagnosis in the dog can create a significant amount of stress not just to the owner, but also the veterinarian. The reason being is that many times we are left asking ‘why’, and then we are caught in a loop of endless decisions regarding treatment or management options. Cancer is a complex disease condition that often takes many years to develop, but is seen more quickly in the dog due to their natural rate of aging. The fact that the number of cases appears to increase from year to year should bring about questions in our own mind a to the cause? Additionally, we should ask whether if there is not something more proactive that can be done to not only manage the condition but potentially prevent it? Every dog is at a certain risk of developing cancer, but some breeds appear to be more predisposed. This may be due to genetic conditions inherent in those breeds. Some cases of cancer are linked back to hormones, while others are connected potentially to carcinogens present in the environment or diet. No one dog is immune from cancer, and all are at risk on a certain level. 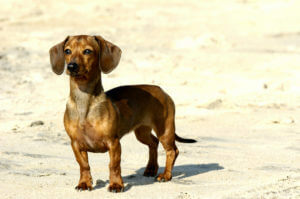 In most cases of cancer in the dog, the condition can be divided into two main groups; carcinomas and sarcomas. Carcinomas are cancers that develop from the skin or in tissues that line organs within the body. Sarcomas are cancers that develop from connective tissues, including the bone. A tumor or cancer type can be defined as malignant or benign. A malignant cancer is more aggressive, more active, and has a higher likelihood of spreading to other areas of the body or invading local tissue. A benign form of cancer is less active, more quiet, and therefore less likely to spread or invade local tissue. Obviously, as a veterinarian and owner, if we experience cancer in our dog, we would like to see the final diagnosis of ‘benign’, rather than ‘malignant’. One implies a better overall prognosis than the other, however, there may be some confusion. Many dogs do present with benign growths, whether if that be on the skin, in the mouth, or in other areas of the body….however, you need to remember that they are still cancer. I view benign growths a a good prognostic sign, but they also signal to me that something is not right in that animal and that maybe there is a health imbalance present. All cancers are a form of abnormal cell growth. Despite the benign status assigned, there is still abnormal cell growth. The question is why? And do we intervene or do we just remove the growth and move forward in time, not being proactive towards our dog’s health? Why Does Cancer Happen to the Dog? Cancer refers to a large group of diseases that are characterized by uncontrolled or unregulated cell division within that cell type, which can then alter organ function and invade local or distant tissue groups. These are the same disease conditions that people are afflicted with in their lifetimes, and truthfully, there are same underlying themes of development. Cancer is not an infectious disease, implying it is not transmitted from one dog or cat to another, no different than in people. In some cases, it may be precipitated by a virus or bacteria, but in most of those cases, the invading organism simply ignited an underlying problem, adding fuel to the equation. This may be seen in the case of Herpes virus infection in people, where the virus itself can precipitate changes within a cell type and contribute to cancer development, but not all people with the Herpes virus develop cancer. There is not a direct cause-effect relationship, essentially. Now, in some cases, due to cancer development and physiological changes within that patient, you may see uncommon infections, viruses or bacteria, present in that patient or even within the tumor itself. Again, are these directly the cause or are they present due to local circumstances being altered? Cancer is a disease in which there are changes in cellular function within that tissue type, thus implying there are alterations within the genetic makeup of that cell, a mutation of sorts. Although this concept takes us back to the concept of genetics, it is not that easy to make a causal relationship. In almost all forms of cancer, there is likely a mutation and increased cell division present, but the question has to be raised as to what created that mutation? The fact is that all of our pets, dogs and cats, are very similar to us in the fact that almost every day, our body is being challenged with genetic mutations. It is really a fact of life, increasing in rate and frequency as they and us age. In fact, once upon a time, cancer was more readily seen in the aging pet, just as with the aging human, but those statistics are changing. Now we are seeing more younger pets and people, afflicted with the condition. This is what should raise concern! Why are these abnormal cellular changes occurring in the younger populations? We don’t just have an older dog or cat afflicted with cancer, but now it is evident in the younger or mid-aged group. In all cases of cancer, in my opinion, there is some igniting factor, something fairly profound and consistent that created or is still creating those cellular changes or mutations. This isn’t just a result of the aging process and age related mutations, but more so there are other factors. Considering the fact that mutations occur every day, in us and our pets, you must also realize that not all pets develop cancer. The same holds true in people. So, what is the difference? Why are some dogs and cats more prone than others? In today’s dog and cat society, there are numerous carcinogens in their environment that can create mutations. Some pets are exposed to many of these potential carcinogens almost daily with intentions, while others are completely unnoticed. These carcinogens, of which there are too many to mention, can create cellular changes or mutations, which can then contribute to cancer development in the short term or long term. Again, dependent on the carcinogen, you will notice that not all patients develop cancer as a result of exposure. There is likely a direct causal link to mutation development with that carcinogen, but not always a direct link to further cancer development. This raises the question of host defenses and ability to negate those negative changes. Potential mutagenic chemicals can be found in topical flea and tick medications, pharmaceutical medications, vaccines, processed foods, air, water, and the soil that your dog or cat is exposed to in the yard or park. They can also be found in the laundry detergent used to wash their bedding. This raises the point of xenobiotics, which are chemicals or substance, often synthetic in origin, that are present within an organism in which it is not naturally produced or expected to be present. All of the chemical sources noted are xenobiotics, which can be connected back to cancer development in the dog and cat, not to mention people. More than likely in today’s society, the average exposure rate to xenobiotics and mutagenic chemicals is much higher than in years past. This would help to explain the rise in incidence of cancer in the dog and cat, but what else is happening? Considering the high exposure rate, why don’t all dogs and cats develop cancer? Health is a matter of balance, homeostasis within the body. Each dog or cat has their own unique personality or constitution, no different than with people. The world of Ayurvedic medicine views three main types or doshas which are Vatta, Pitta, and Kapha. Traditional Chinese medicine views 5 main types, being wood, fire, earth, metal, and water. It is not the point of this article to get into those personality types, but the overall point is the striving for balance in the body. When disease is present, there is often an imbalance present. Disease (cancer) can be equated to a lack of health, and health can be seen as a state of which disease is not present. This balance in health can be viewed as a protective mechanism against cancer and many other disease. When in balance, it is like a fort with a wall around it, protecting against invaders. When not in balance, these defense mechanisms are reduced, and invaders gain access more readily. When it comes to cancer treatment or management strategies, my focus is on regaining that balance within the patient. Note that I do not focus on or discuss traditional treatments including chemotherapy, radiation, or surgery in this article. Each of those modalities may have a time and place in the management of each patient, but they are not generally a means of achieving health balance. In fact, some of those modalities can work against the patient, creating more imbalance, inflammation, and deficiencies. Two of the main areas of interest, regarding cancer physiology, are the process of inflammation and the immune response. In reality, these two factors interplay with one another in most patients. When it comes to cancer, there are mutations that develop and can progress over many months or years, which then can build to detectable levels. In other patients, these same mutations occur, but no detectable disease is ever present and the patient is never affected. Likely, the main reason why one is protected and the other succumbs is a result of the balance within their body. How healthy are they, really? In most cases of cancer, there are often significant inflammatory changes present and immune comprise. The truth is that these mutations, potentially cancerous, develop every day in every body, but the immune system is capable of detecting and removing those altered cells from circulation, or at least isolating them. The other thing is that in order for that cancer to fully develop, it not only must evade host defenses, the immune response, but the circumstances must be favorable for development. Not much different that trying to grow a plant in a pot. If the soil and environmental circumstances are correct, it will grow and thrive. Same with cancer. So, in those patients that never develop cancer, likely their health balance inhibited the cancer on some level. Inflammation and the immune response go hand in hand. The immune cells are most commonly associated with inflammatory protein production, but a higher level of inflammation can also inhibit normal immune function. That inflammation and immune function can be dictated by the foods you feed your pet, the water they drink, the air they breathe, the chemical that are given or applied to them routinely, and even impacted by their state of mind or mood. It’s a complex intertwining of factors that can work for them or against them. This complexity is why likely, there will never be a cure for any one form of cancer, mainly due to the fact that there are many hands in the cooking pot. When a pet is diagnosed with cancer, owners react differently dependent on their level of connection to the animal and their level of awareness. This level of connection and awareness then often dictates the outcome for their companion. The more you see, as an owner, the more you are aware, and then the more you are likely to do to promote balance for your dog or cat. Ideally, what you want to do here, just as with any other disease, is to be more proactive than reactive. Don’t wait to make a change when cancer is present, but look to prevent it through promotion of overall health. Balancing of health is not always easy as that balance stems from many root points. This can include mental factors, physical factors, diet, and overall quality of life. Nothing and nobody is perfect, nor can be expected to be, but some minor changes can make all of the difference. Keep in mind the different body types assigned by Ayurvedic and Traditional Chinese Medicine. When you see the different body type or constitutions, you can hopefully see that there is no one way to prevent or ‘cure’ cancer, as each patient is different. No two dogs are the same, despite being the same breed or both having the same form of cancer. They may have similarities, but not all will respond to the same therapy route chosen. It has to be individualized to an extent, but there are some basic principles to follow. Diet– ideally, move away from processed foods and more towards home cooked diets tailored to the individual patient, using whole foods, and trusted meat sources. Some pets do better with raw type of diets, while others do better when foods are warmed or steamed at a minimum. No one food type or preparation is going to suit all cases and patients. The goal here is to first use food as a nutrient source to provide for the dog or cat, a medium to support overall health without fillers, preservatives, chemicals, or dyes added. Be creative in those food sources, using the colors of the rainbow to an extent, to take advantage of all that nature has provided. But, keep in mind your pet, and their specific needs. Here is a good, basic article on dog nutrition. Mental Health – this is an important area as the state of mind impacts overall health. When the state of mind is good, health is often balanced. Dogs and cats do become depressed and anxious. This is often a result of poor living conditions and habitual routines inflicted by us as humans upon them. In some cases, the pets are living in harsh environments, maybe extreme cold or heat, outside or confined inside, when they desire an alternative. Maybe they just need to get out more often, or taken off the leash or out of the outdoor pen, to run, be free, sniff, and be a dog. Too many times, as a veterinarian, I have seen pets be miserable mentally with many cognitive afflictions that were a directly result of the circumstances provided at home. Those negative circumstances create stress for the pet, and stress contributes greatly to poor health, inflammation and immune function. These negative influences can also be created by the owner and their moods. An owner that is positive creates positivity in the pet. An owner that sees nothing but negativity can create real recovery challenges, despite the best of efforts. Make those changes and the pet becomes healthier mentally and physically. Medications – many pets are on daily medications or some are just used routinely on a monthly basis. Some are used as preventatives of sorts, such as flea, tick, and heartworm medications, but vaccines are also included in that group. In others, there may be long-term antibiotics, pain medications, steroids, or others that are used routinely for various health ailments. While all of these medications can serve a purpose, you have to realize that there is potential harm over the short and long term. Not all dogs and cats suffer the negative consequences, but in our cancer patients, we tried to eliminate these external influences in order to assist us in seeing the true picture and regaining health for that patient. It is often next to impossible to regain health and balance in a patient when there are ongoing chemical bombardments occurring. Herbal Supplementation – this can be a key area whether if it is prevention or a part of a treatment strategy. Remember, there is no ‘cure’ for cancer! The only sure way to beating cancer is to regain balance within the body, and restore health. There are many herbs in literature, advertised on internet, and pushed in many groups for their ability to ‘kill’ cancer, but don’t get misled! It is true that these herbs exist and there are many of them, but the fact is that most of these herbs provide key benefits by their mode of action upon the body. Two key areas that they impact are the inflammatory and immune response. Remember? Those are the two key areas that are almost always common between every cancer patient. Herbs can be used as a part of a preventative or support strategy, but dependent on the intentions, the doses and combination can vary widely. These herbs can be used to promote health and balance by providing nutrients, which includes protein, vitamins, and minerals. They can also be used to promote a healthy inflammatory response, by impacting specific pathways at a cellular level or providing antioxidant support. They can also be used to promote a healthy immune response by triggering an inactive immune system or promoting balance in an overactive one. Herbs can also be used to aid in balancing the stress response in the dog or cat, when this is an issue in their recovery and health. The key point here is that herbs can be a tremendous life-saver, and health promoter, when used properly, in the right doses specific to the patient, in the right combinations, and often on a daily basis. They go hand in hand with a proper diet, mental and stress factor reduction, and reduction of medication usage. Cancer is simply a diagnosis, nothing more and nothing less. Some view it as a label and once that label is affixed to their pet, it is over, nothing more can be done. For myself, I see it as a road sign, a warning or indicator light that something is not right with that dog or cat regarding overall health. This is often evidence far before the big “C” diagnosis is given, as many of these pets have a history of health problems or a long list of concerns. If you see cancer for what it is, a sign of imbalance, then it is possible to implement some strategies to aid regaining of health. Cancer is not likely a disease to be directly cured, through some toxic event or therapy, but more so is a disease to be managed by promoting health. Far too many dogs and cats are subjected to various traditional treatment strategies without paying attention to the patient and supporting their needs. If we just pay a little more attention to what that pet needs, what they require to survive and thrive, then often the outcome is more favorable. Sometimes we become too focused on the cancer and forget about the inner workings and balance of the body. Keep in mind that the body is a magnificent creation and is designed to heal and repair. However, in order to do this, the proper circumstances must be provided. It is truly amazing to me to see how much a dog or cat with cancer can tolerate and still survive, while only the basics for that survival are provided. This raises the question about what is possible if our provisions were just taken to the next level? Some forms of cancer are more manageable or responsive to these approaches than others. With that being said, we do not ‘win’ in every case. However, one has to define the “win”. What is it? Does that mean a cure, complete remission, and living another 10 years? Or does that mean that the patient becomes stronger, healthier, full of vitality, yet still possesses that tumor, only living another 6 months? That is the ultimate question and something each person has to define. I’ve seen dogs and cats suffer tremendously for 6 months, living a horrendous life and then succumbing. Then, I’ve seen some ‘terminal’ patients regain vitality, health, and zeal for life while yet still having that cancer and dying in their sleep 6 months later. Which one is more optimal? Cancer in the dog and cat is every increasing and will continue to mirror their human counterparts. You, as the owner can opt to take a proactive role in their treatment and management, if elected, and there are many paths that can be chosen. Just remember that not every dog or cat is the same, and thus, no one diet, or even herbal regimen is ideal for everyone, no matter what you hear or read. The bottom line is that you can make a difference for their quality of life, but in order to make that difference, you have to choose to become active and participate.